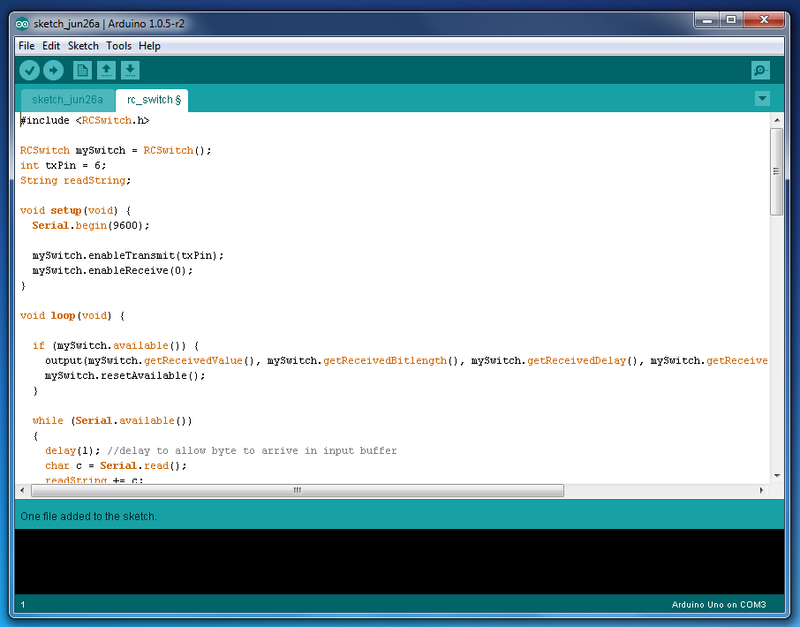 In this post we will develop an Arduino remote control that will receive and transmit at 433MHz/315MHz. This will allow us to control devices that operates in that frequencies such as plug socket receivers. 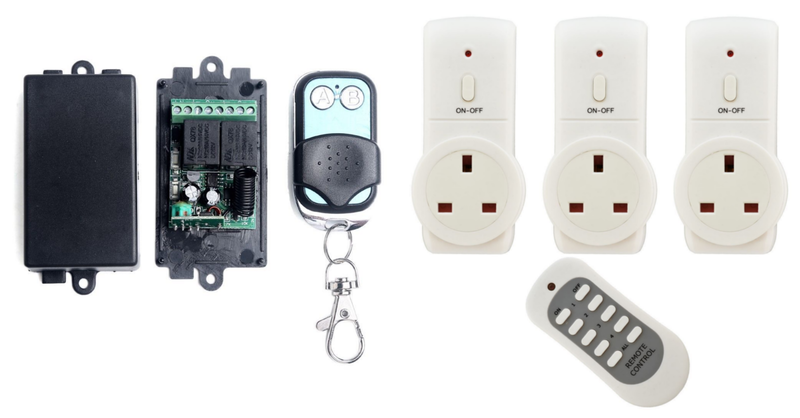 Open serial monitor and press a button of the remote control. You should receive a binary code. 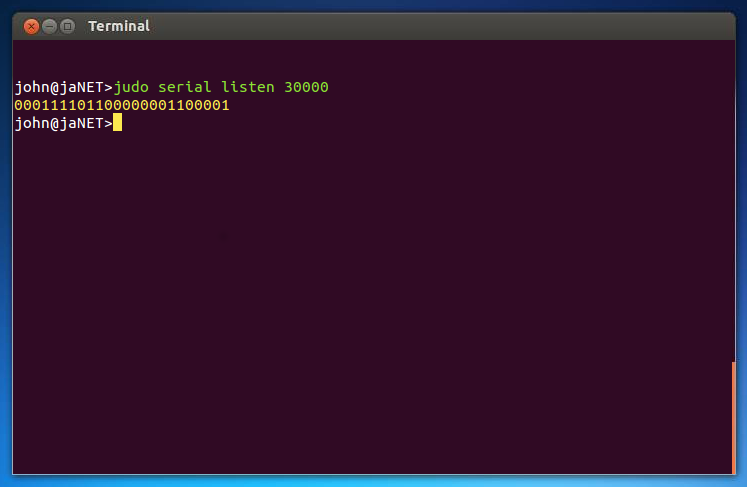 Of course Jubito and jaNET Framework provide the capability to listen the serial port via judo API. milliseconds are optional. By default it is set to listen for 10 seconds (10000ms). If you successfully complete the above steps, then, scan all the buttons of the remote control and write down the corresponding readings. 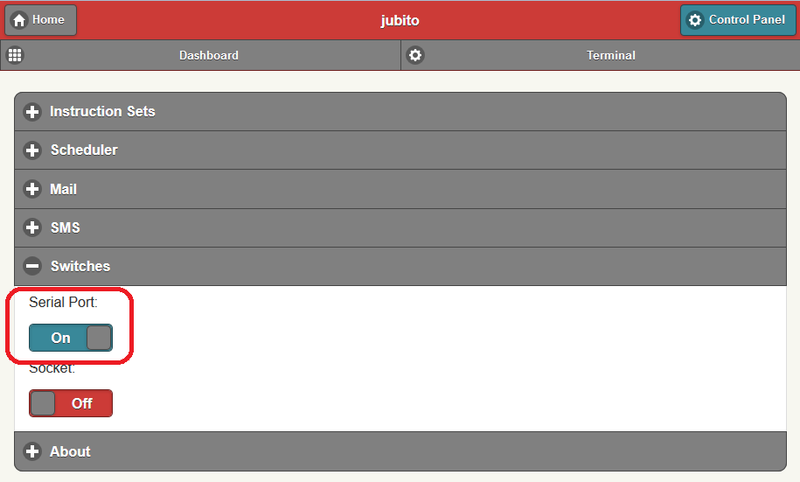 At this time you are ready to create your virtual remote and accomplish transmissions from Jubito. 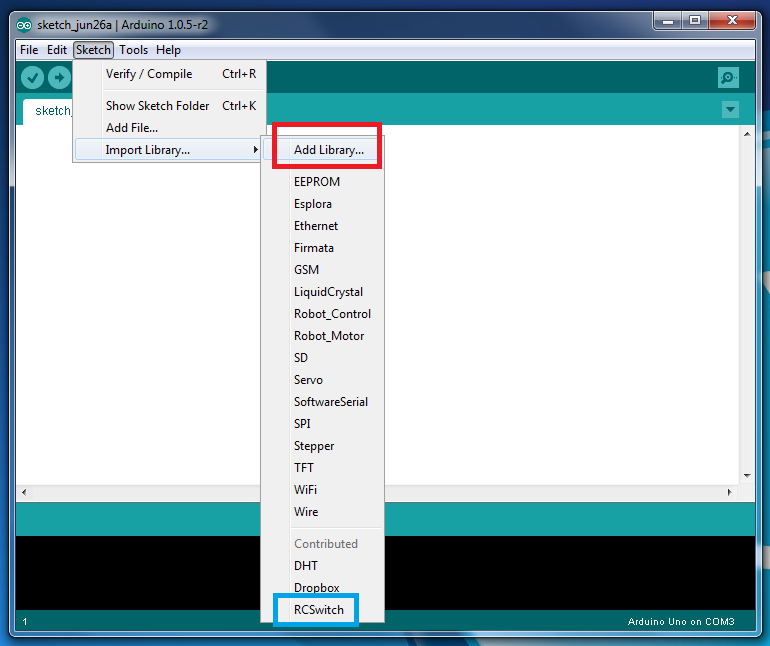 First make sure you have properly configured arduino's serial port and then enable it. this command should power up the plug! 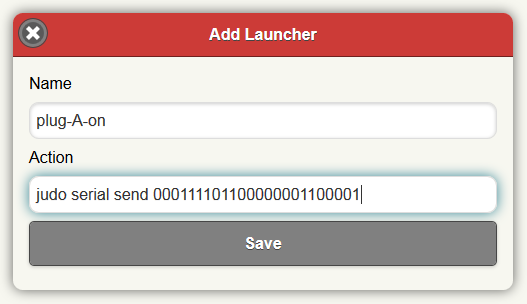 When you create launchers for all buttons you are ready to create the virtual remote control. Again from Instruction Sets menu press Add New Instruction Set and fill the mandatory fields (name, action, category, header) and some optional if you desire, e.g. Thumbnail URL. which will cause a response 'Socket A is on' to the button press instead of the 'Operation Completed' system message. After that the new instruction set is accessible from the dashboard. 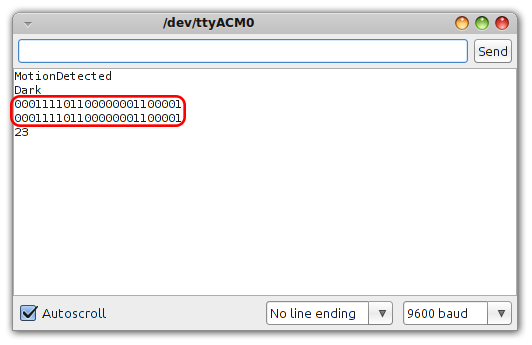 Now you are able to clone any remote control at 433/315MHz. Are you able to use this with the phone app Utter? 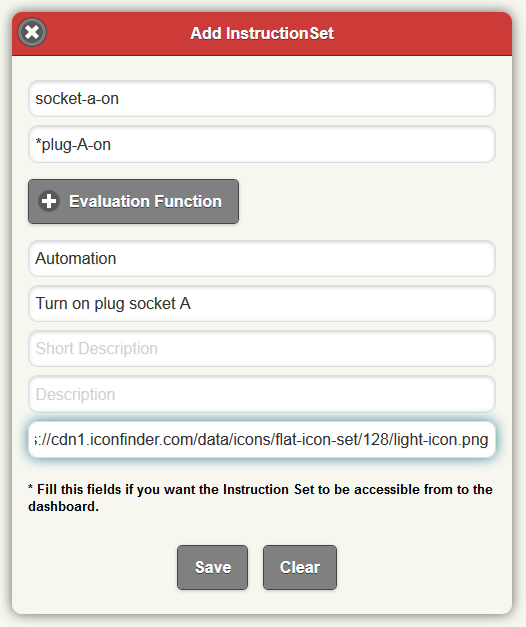 Could you upload the command list to a Web server and then access the command list though Utter? 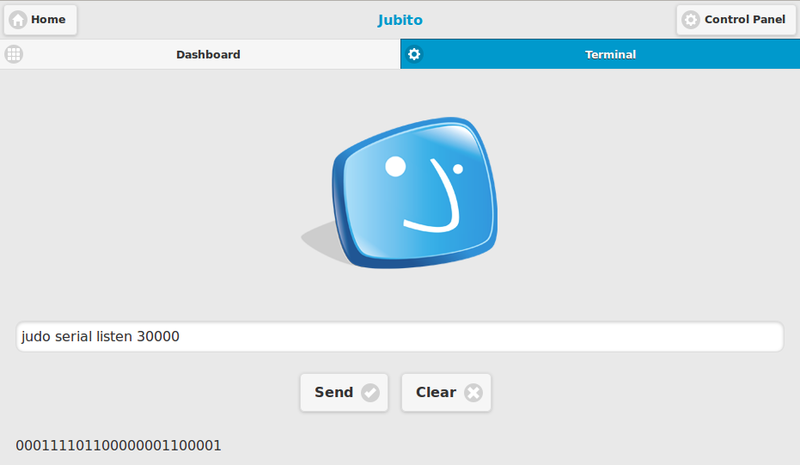 Jubito is the web server. The phone app is a client that connects to it. It also provide some extra functionality like speech recognition, speech synthesis and geo-location based auto check-in. You can do anything from the web UI from a web browser, android client app, tablet or any device can view html. It should be instant even over the internet. I'm using a dynamic dns with no delays. I'm not sure what is going wrong. You can send me your sketch and your AppConfig.xml via email to test it.